Very good doctor, courteous and knowledgeable. Dr. Ghani is the best. Dr. Ghani is easy to get along with. Dr. Ghani is a very caring dr. Also his nurses are always willing to listen and are VERY helpful. Dr. Ghani is one helluva good doctor. Always a pleasure to see. I love all the people at Advocate, they are all very polite and concerning. Dr. Ghani checked my b/p and my newly replacement on my medrtonic unit and told me my rate of ejection on my heart pumping and he was verry encourenged on my progress of my medical status. Provider is always courtesy and pleasent. Dr. Ghani explains things very well. He'll take any and all questions you have for him. He's never rushed me thru a visit. Waited over 1 hr. before seeing the doctor and receptionists did not update me as to when doctor would arrive. It is always a pleasure to see Dr. Ghani. He doesn't rush, is personable and seems to know me. I have the utmost faith in Dr. Ghani and his staff! Love him, very upbeat. Even bad news sounds fixable. Still didn't pull any punches and lie. Nice person. Dr. Ghani is the best. He is always on top of everything. My providers are great and I would not change them. Very Good experience I left with a proposed plan of care. Dr. Ghani is always friendly and greets me with a kiss on the cheek. He always answers any problems I might ask of him. He is a great doctor! I appreciate the way he took time to address - all of my concerns. Very good person - been with provider for a while. Excellent experience doctor and staff were very friendly and answered all my questions - my next scheduled visit is in 6 months and I'm looking forward to it. As a patient I am "very" comfortable with him. His explanations have always been very clear. The provider is my heart doctor. Dr. Ghani talked about my general health and the importance of diet an exercise. He is the best doctor. He respects me and does the best for my health. Covered the bases in a friendly way. DR. Ghani is always a pleasure to see. I'm in his office at least once a month when his nurses give me a PTO test but I don't usually see the doctor. The nurses always check the results of the tests with him. So I have been health for many years! 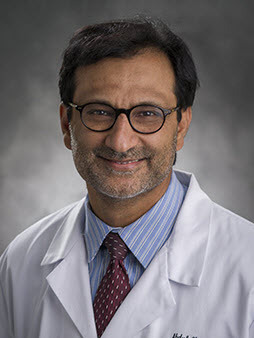 health eNews with Abdul Ghani, M.D.